The American Institute of Physics (AIP) Scitation website "is the online home of more than 100 journals from AIP, APS, ASCE, ASME, SPIE, and a host of other prestigious science and engineering societies." Everyone can browse the materials by an alphabetical list, publisher, and subject. After completing a quick and free registration form, users have access to a more advanced search engine. 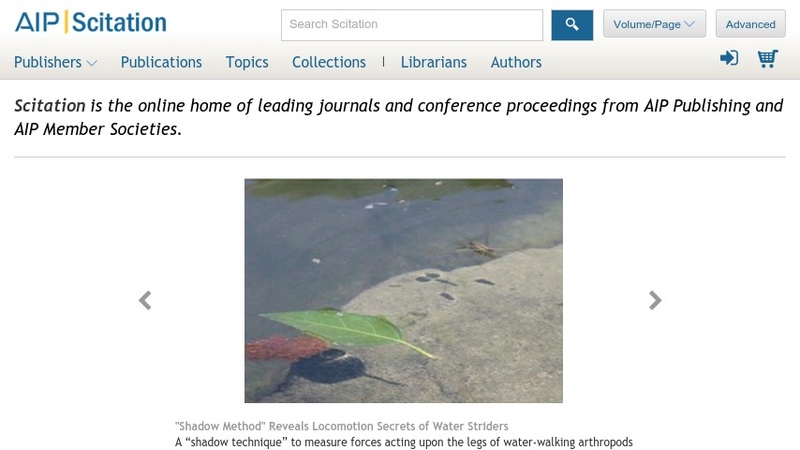 While users need to be subscribed to Scitation journals in order to access the full-text articles, they can browse the table of contents and abstracts. Those with subscriptions can personalize the website to have easy access to all of their publications as well as lists of journals that they frequently access.